Where Roots And Wings Entwine: Buy BassBuds headphones at a bargain price. 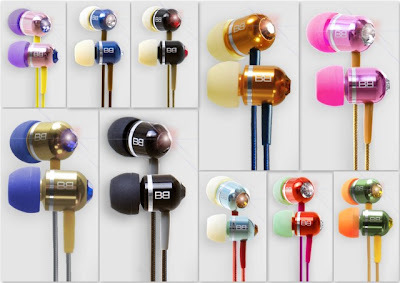 Buy BassBuds headphones at a bargain price. Christmas can be an expensive time of year; I try to save money on gifts by buying from the cheapest retailer and making good use of discount and promo codes. I think it is great when you can save a few pounds on a product you would have bought even without the discount, those few pounds and pennies all add up which means you save a little and that saved money can be used towards other gifts and Christmas products, put into saving or even used to treat yourself with. As I love a good discount code I was pleased when I was given a discount code to share with my lovely readers. BassBuds who make high performance in ear headphones are giving my readers a brilliant £5.00 discount off of their range of headphones available on the BassBuds website. 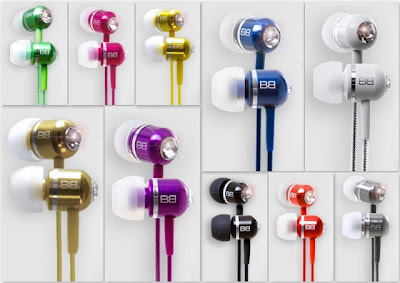 To get £5.00 off BassBuds headphones simply use discount code BB53862. * One of the largest earphone colour ranges in the World! Features taken from the BassBuds website. As stated in the features list, there is 2 collections available with 20 stunning colour options available across the 2 exciting collections providing plenty of choice and allowing people to pick the colour and style to suit them (you could even get a couple of BassBuds headphones so that you have different colours available to suit different moods and outfits……..or perhaps that is just me and my wishful thinking that I could have a few of these funky headphones as there are so many designs that I looooovee). 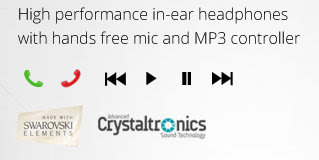 I absolutely love that there is Swarovski® crystals embedded in the design…..this little feature makes me want a few of these headphones even more! I never knew headphones could look so attractive and that I would desire after a pair so much….sigh. Thankfully my desire for a pair has been quenched; keep an eye out for the review and see what I thought about getting up close and personal to see the beautiful design and to see if they live up to their impressive features. The only problem I can foresee at the moment is that Lee and I will both want them! Even though I am still giving the headphones a thorough testing, I think they look brilliant and I am sure they would make a fantastic gift. In the technological era we live in where the majority of people have a smartphone these headphones would be a brilliant gift for anyone who has a smartphone and loves to listen to music and make/take calls on the go. BassBuds headphones would make a perfect gift this Christmas for music lovers. BassBuds headphones have an RRP of £49.95 but are currently available on the BassBuds website shop for £34.95 and with the £5.00 discount code you are saving even more! To get a pair (or two or more!) pop onto the BassBuds website and use discount code BB53862 to get £5 off your BassBuds purchases. Remember use discount code BB53862 to get a £5.00 discount on BassBuds headphones! !